Air pollution and health have long been closely linked, and thanks to a team of Canadian researchers, the effects of three pollutants on Canadians is becoming clearer. 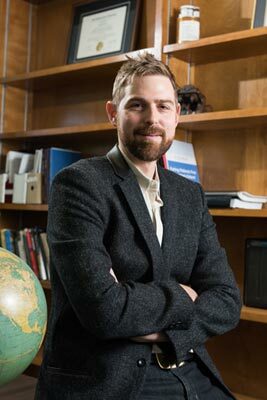 Dan Crouse, an epidemiologist and sociology research associate at the University of New Brunswick, along with a dozen co-authors, released a study of their research in this month’s issue of Environmental Health Perspectives. The study reports on the associations between long-term exposure to air pollution and the risk of dying in the Canadian population. The researchers found an increased risk of dying associated with living in areas with elevated levels of air pollution of about eight per cent from all non-accidental causes, eight per cent from lung cancer, and 18 per cent from diabetes. "The results contribute to the body of evidence demonstrating that even with really low levels of air pollution, like we find in Canada, we still find measurable, observable associations with mortality," Dr. Crouse said. The study took place over a 16-year period and the research is based on data from more than 2.5 million Canadians across the country. Crouse said subjects were drawn from the Canadian Census Health and Environment Cohort, a national-level cohort comprised of adults who completed the 1991 long-form census. "It's a very representative national sample, the biggest study of its kind." "For all those people, we know who died, what they died of, and who got cancer. They've also been linked to their annual income tax filing, so we have a postal code of where they lived every year from 1991 to 2006." Dr. Crouse said the researchers then assigned each person with estimates of exposures to three pollutants: fine particulate matter, ozone and nitrogen dioxide. The study used global satellite-derived surfaces, which allowed them to provide estimates for the entire country. Dr. Crouse said most ground-based air pollution monitors are only located in big cities, so these satellite surfaces allowed them to estimate exposures for people living everywhere, including in rural and remote locations. Dr. Crouse, who is a recent addition to the UNB team, conducted this study while he was employed at Health Canada. The research effort also included researchers at Environment Canada, Statistics Canada, and at a handful of Canadian and American universities. This study is the first to show risk estimates associated with the combined exposures to multiple pollutants in Canada. "It helps us to understand the independent and joint effects of each particulate matter, ozone, and nitrogen dioxide." Dr. Crouse added that a key issue during this study was differentiating between the pollutants. He said they tend to have very similar spatial patterns and the current state of air pollution and health research right now is attempting to tease out the independent effects of different pollutants. In this study the team was able to create joint models, including estimates of all three pollutants for people, which they attempted to separate into independent effects. The release of the manuscript today also coincides with the re-launch of the Project Big Life calculator, an online tool that allows users to calculate his or her life expectancy. Crouse said the calculator's creators approached him about using the study's data. "They wanted to be able to include air pollution exposure as a risk factor in their calculations,” said Dr. Crouse. “I was able to provide them with risk estimates from our study, and a master file of pollution estimates for postal codes across Canada. Their tool will link up the data that I've provided them, so it will provide users with their level of exposure at a postal code. It can inform users how their exposures compare to the national average, and how many years of life may be lost due to air pollution exposure." He hopes the release of both the manuscript and the calculator will create some synergy. The next step with this data will most likely delve into cancer incidence, Dr. Crouse said, although it can be tricky with the census-based dataset. "There's no information on smoking or drinking or exercise, which are major risk factors. For cancers, such as breast cancer, you really need to know family history," he said. "The risk factors for cancers are different than those for mortality." But just because it's hard doesn't mean it's impossible, and that won't stop Dr. Crouse. "We should probably do something similar using these three exposures and this big data set to look at links with cancer incidence, regardless of those limitations."